Every month, Le Cordon Bleu Paris institute gives its students the opportunity to meet hospitality and restaurant industry professionals. This enables students to become acquainted with the professional world and to widen their network. These meetings take place as presentations during which members of human resources teams come and present their company, as well as work placement and employment opportunities. Students are also able to talk individually to the recruiters present with the aim, for example, of going on to work in the company on a work placement. 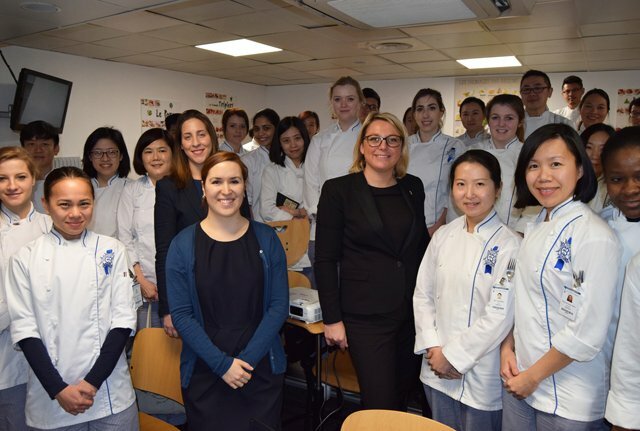 On February 25, 2016, Le Cordon Bleu Paris institute students had the opportunity to meet the Dorchester Collection Group. 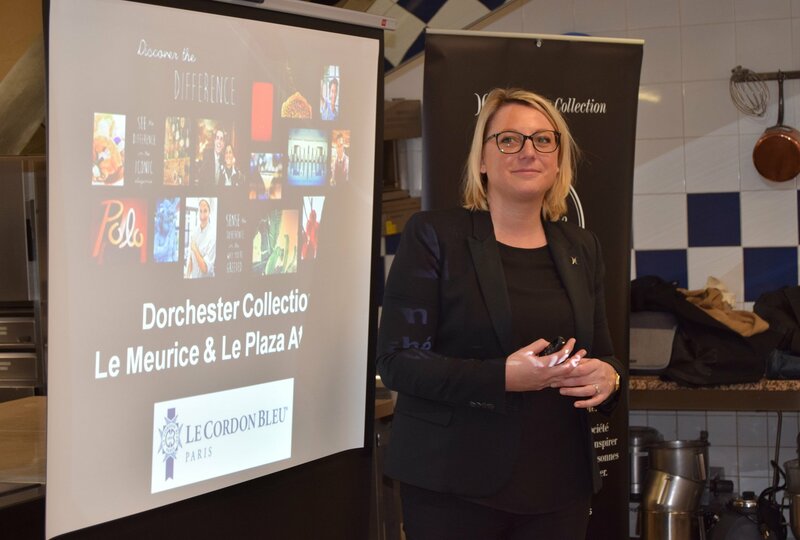 Assistant Human Resources Director, Sophie Carter Fontaine, and Human Resources Assistant, Daphné Blazy, from Le Meurice Paris, gave a presentation of the Dorchester Collection Group and its career opportunities. They were accompanied by Sofia Corrao, Food & Beverage and Marketing Coordinator Restaurant & Marketing, who is currently a Restaurant Management Programme student, and who has just been taken on permanently following her work placement at the Plaza Athénée. Each year, between 15 and 20 students make their internship in Dorchester Collection' institutions in Paris. Those invited to take part included all Cuisine and Pastry Diploma Intermediate and Superior students as well as Wine and Management Programme and Restaurant Management Programme students.